JWANENG, Botswana (Reuters) - It’s clocking-off time at the world’s biggest diamond mine and Rumours Bar on the edge of the Kalahari is stocked with chilled Carling Black Label and Castle Lite, two of the beers most favored by blue collar workers across southern Africa. The bar, a barricade of plywood and welded iron lattice, is empty, but out the back, half a dozen early birds sit on a bare concrete step sipping Chibuku Shake-Shake, an alcoholic porridge of water, yeast and sorghum sold in a cardboard carton. As Anheuser-Busch InBev (ABI.BR), the world’s largest brewer, finalizes a $104 billion bid for rival SABMiller (SAB.L), maker of all three drinks, it would do well to pay attention to the back-step drinkers. AB InBev says its approach was driven in part by recent “deep dives” into the prospects for sales to Africa’s billion people of a range of beers designed for widely diverging incomes. Shifting economic sands make such forecasts particularly difficult. Years of above average growth has entrenched the notion of a growing African middle class, but this year’s commodity price slump has exposed the fragility of many economies and the ‘Africa Rising’ image of a continent on a steep upward path. Growth forecasts are tumbling, public and private sector budgets are being axed and millions of people in Africa, where jobs are predominantly temporary, find themselves without work. Without a regular job, 18 pula ($1.74) for a 750 ml bottle of Black Label is unthinkable. Even 8 pula for a liter of Shake-Shake is a stretch. GROWING PAINS In an Oct. 9 presentation outlining its defense against AB InBev’s overtures, SABMiller – whose roots lie in neighboring South Africa – made much of Africa’s thirst for beer. In the last 15 years, it noted, per capita consumption had doubled in countries such as Uganda, a typical sub-Saharan African market where branded beer accounts for a tenth of all alcohol drunk, most of the rest being home-brew or hooch. Using 1970s apartheid South Africa as a benchmark, the brewer also postulated a five-fold rise in beer consumption across sub-Saharan Africa over the next two decades as incomes soar and Africans graduate from home-brew or sorghum to high-end brands such as Castle or Peroni. 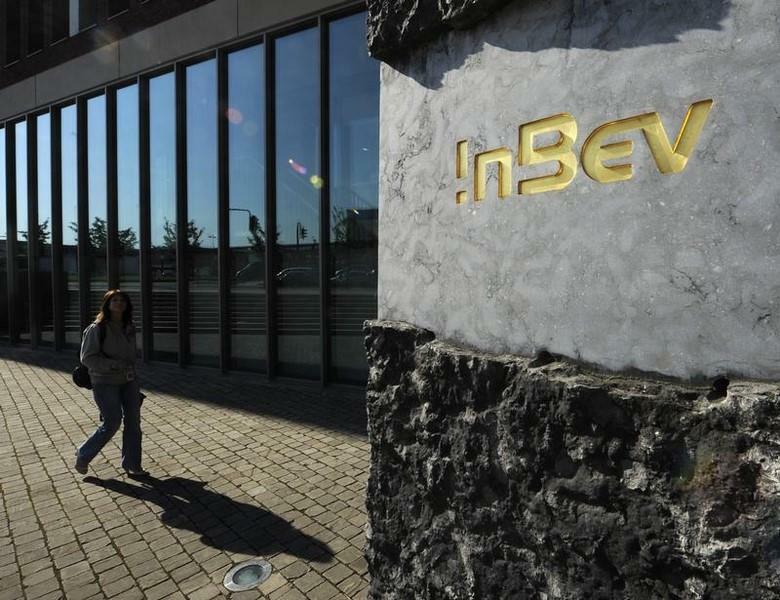 In announcing its takeover offer, which would mark its entry to Africa, AB Inbev said: "Africa, as a continent, has hugely attractive markets with increasing GDPs, a growing middle class and expanding economic opportunities." Just three days before SABMiller's presentation, the IMF cut its growth forecast for sub-Saharan Africa to 3.75 percent for this year, down from 4.4 percent in July and its weakest outlook in six years. Besides the collapse in commodity prices - everything from crude to copper to diamonds - the IMF cited the “less accommodating financial conditions” available to governments and companies as the United States considers raising interest rates. When asked about the slowdown, an AB InBev spokeswoman reiterated the company’s optimism about the region and said it was too early to go into details on specific markets. The maker of Budweiser and Stella Artois, has until Oct. 28 to make a formal offer for its rival after the parties reached an agreement in principal on Monday. SAB said UK takeover rules restricted what it could say, but in a trading statement for the six months to end-Sept, it reported group revenue rose 9 percent in Africa, off a 6 percent rise in the amount of lager sold. It said performance accelerated from the first quarter to the second. SAB and its rival Diageo (DGE.L), which also has a beer business in Africa, have recently expanded in the lower end of the market by launching beers made with local ingredients like sorghum and cassava. Chibuku is one example. Beer is not the only item affected by a reappraisal of Africa’s ‘middle class’, defined by the African Development Bank in 2011 as anybody with daily disposable income of $2 or more. In June, consumer goods giant Nestle (NESN.VX) said it was laying off 15 percent of its east African workforce because it had overestimated the size of the middle class in the region. The relatively small size of African markets – Nigeria, at 180 million people, is far and away the biggest among Africa's 54 nations – and poor infrastructure also deter investment and create problems for supply chains. For instance Botswana, which last month halved its 2015 growth forecast to 2.6 percent, is one of Africa’s most prosperous nations with average individual income of nearly $8,000 a year, but its 2 million people are spread over an area almost as big as France. In Jwaneng, that means empty shelves in bottle stores as delivery trucks space out their trips.